Last week, the Fung Global Retail & Technology team had the opportunity to attend Toshiba Connect 2016, hosted by Toshiba Global Commerce Solutions in Las Vegas. Under the theme of “Together Commerce,” the event brought together retail executives, technology service providers, systems integrators and technology partners to see the latest Toshiba technology and innovations and to discuss trends, issues and views that affect retailers today. Next generation mobile apps that allow users to scan the items they put in their shopping baskets and share that information with other users, which enables couples to split up when shopping and see what each partner has picked up along the way. Interactive digital signage, including store maps that allow shoppers to get precise directions to where items are located in a store aisle and even where they are on the shelf. Deli-ordering kiosks that allow customers to browse all items available and enter their mobile phone number to receive a text when their order is ready. 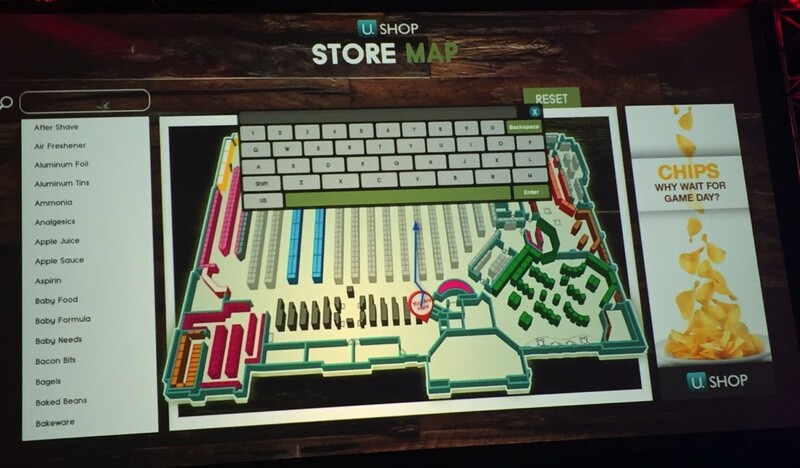 Toshiba interactive store map on display at Toshiba Connect 2016. We also attended a panel discussion with executives from Albertsons Companies (Safeway), CVS Health, Brookstone, Harris Teeter and PVH. The participants talked about some major issues retailers face today, including the fact that EMV (“smart card”) payments have increased the time it takes to process a transaction from less than five seconds to over 30 seconds, which has caught many in the industry off guard. 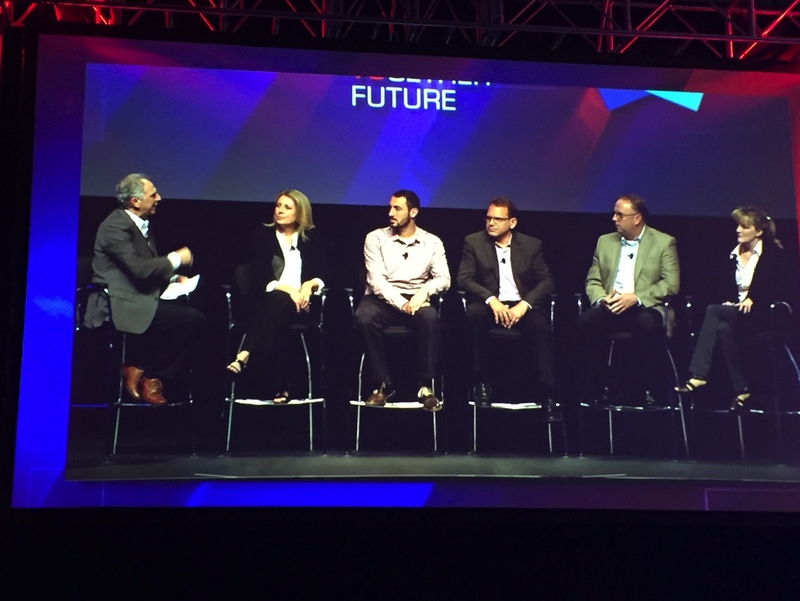 Toshiba customer panel at Toshiba Connect 2016, hosted by Michael Sansolo, Retail Food Expert. 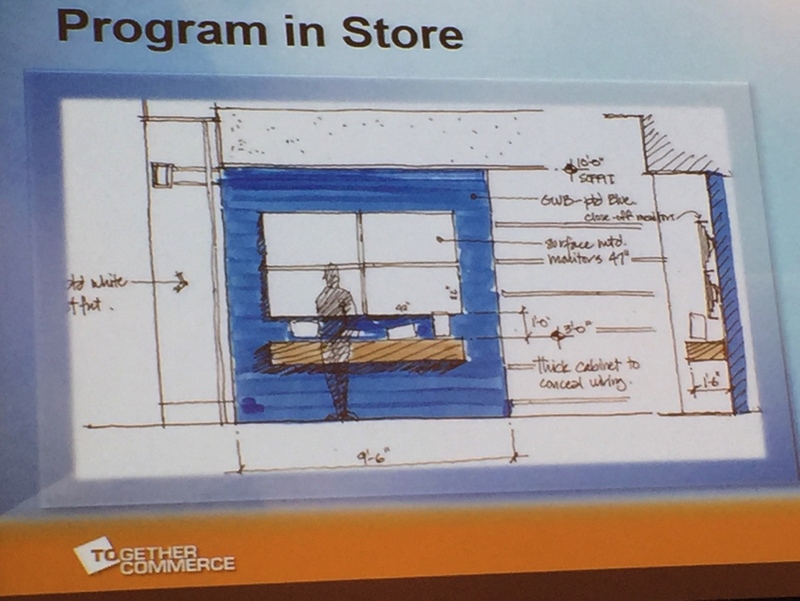 We also attended a presentation by Brookstone’s Visual & Store Experience Director Nick Delyani, who detailed how the company developed its “Lift ’n’ Learn” customer experience stations, which feature informational videos and fully renovated spaces with digital signage. For Brookstone, it is critical that in-store shoppers be able to pick up, interact with and understand the products on display. The company used high-end Bluetooth speakers in the experience stations, and found that customers wanted to both pick up and hold the speakers, as well as educate themselves by watching videos on the various features of each of the products. Brookstone’s solution includes web-based analytics that provide insights on the number of times each product has been picked up by customers and the length of time that customers have spent interacting with each product. Rendering of Brookstone’s renovated space with interactive display. In the Product Fair Setup area, we saw a demonstration of the TCxGravity technology that Toshiba Global Commerce Solutions announced during the event will be rolled out in Petco stores starting in 2017, following an implementation and pilot phase. This solution allows retailers to provide customers with a unified experience across the online and in-store channels, at scale. Retailers can use TCxGravity to see a single view of their customer, items, promotions and pricing in order to enable dynamic point-of-sale interactions and unify the retail experience across points in the customer journey. Product Fair demonstration of facial recognition self-checkout at Toshiba Connect 2016. We also saw a demonstration of the latest innovations in self-checkout, including a frictionless concept kiosk that utilizes facial recognition to enable instant checkout. At the kiosk, a shopper puts her shopping basket down on a platform, and then allows her face to be scanned and the items in her basket to be viewed from above. Stored facial recognition and payment information then allow the shopper to checkout within seconds. In another demonstration, the Toshiba team showed how a simple smartphone app, coupled with a Verifone designed pack, allows for “line busting.” The app enables store associates to check out shoppers with fewer items in their baskets while they wait in line, thereby cutting the time they have to spend waiting. The Toshiba team said that the technology was already being employed in Wakefern’s ShopRite stores and that it is set to be rolled out across other major grocers in the near future. The conference’s “Together Commerce” theme came full circle as the event ended, appropriately, with an appearance by James Carville and Mary Matalin, who prove that politics can, indeed, make strange bedfellows. (Carville and Matalin are a long-married couple who work as political consultants on opposite ends of the political spectrum.) They took questions from the audience on topics that ranged from who they think will be the vice presidential nominees to what impact they think social media is having on the presidential campaigns. 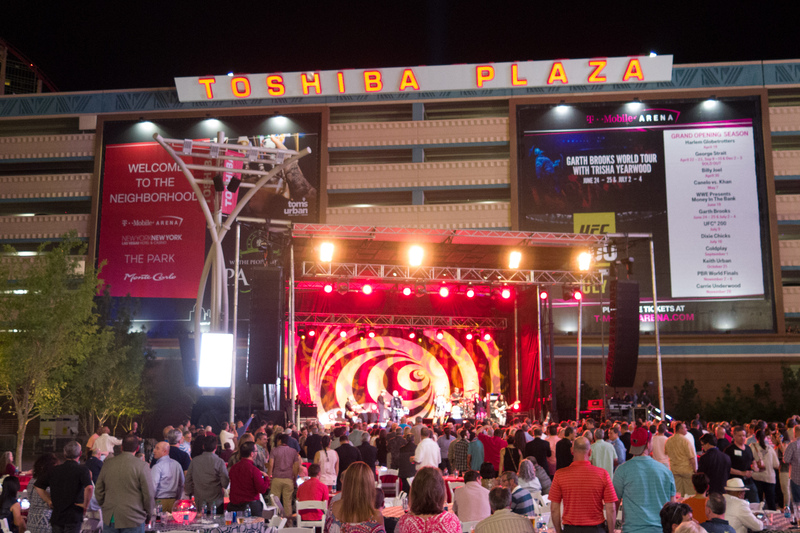 The conference closed with a concert by the B-52s at the new Toshiba Plaza.